Acharya Vinoba Bhave, at the beginning of his ‘Geeta Pravachane’ has written about the dual behavior of a well-known Judge. This judge was well known for his strict attitude. He had pronounced the judgment of ‘death by hanging’ to many criminals in his career. One day however, he had to hear the case of an accused who was his close relative. Further his case was heard and he was found guilty. Now the time came to pronounce the final judgment. But at the crucial moment he felt hesitant to stick to his usual strict attitude. He said to himself “This inhuman practice of death by hanging needs to be revisited. It does not do credit to humanity. The possibility of reforming the accused is foreclosed. The murder may have been committed in the momentary anger. But later, in time he may realize and regret his misdeed. In the event to hang him would be shameful for humanity and a black spot on human society”. But then, if the close relation’s case had not come before that judge, then that judge would have gone on punishing such accused with death by hanging. Then would he have realized the above quoted thoughts? This clearly means that, because of the case of his near relative, he had this realization and not because of his inner realization. This clearly shows that his realization was owing to his attachment to his near relative and not from his intelligent thought process. In order to make it acceptable, he had given it a new attractive cover, but it was not a product of any truth consciousness on his part. It was only a dressing, nothing else. 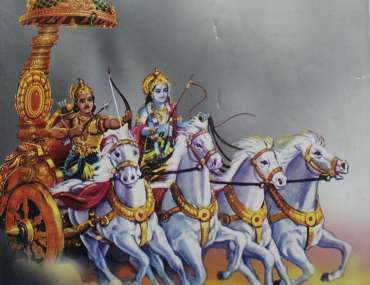 Thus here basic important question is that had not Arjuna, so far, punished the cruel and evil people? Had he not killed them? Then now when faced with cruel and sinful people who were his also own kinsmen stood before him, why this resistance, hesitation in punishing them? The reason here is the same Moha – attachment! There he is slipping from his duty! Truly speaking while carrying out his duty, he cannot behave with different standards, distinguish between kinsmen and others. Why then is this forgotten? The reason this Moha – attachment, present in every individual’s mind, which is born of the love for near ones. It is this ‘Moha’ of Arjuna that Bhagawan Shri Krishna had to remove from his mind. 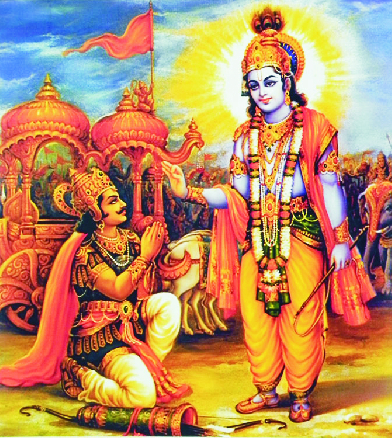 And therefore, after relating the whole Geeta, Bhagawan asked Arjuna – ‘O Arjuna, have you heard clearly and with full attention this Geeta –Shastra, this teaching? 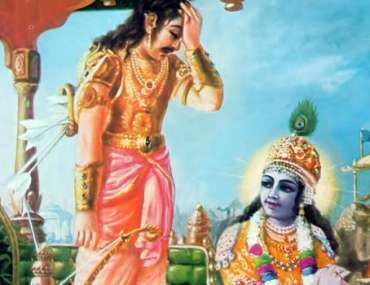 O Dhananjaya, (Arjuna) the Moha – attachment, confusion born out of ignorance has been uprooted? “Thus observing the project and the finale together, removal of ‘Moha’ seems to be finally achieved. The teaching of Bhagawad Geeta aims at the same result. Even the Mahabharata of which the Geeta is a part also aims at the same objective. Sage Vyasa, the author of Mahabharata, says at the very beginning: I am lighting this bright lamp ‘Jaya’ in the form of history, the ‘Mahabharata’ to remove the covering of ‘Moha’ – the confusion arising from attachment. ‘Prajvilit Gnyanamay Pradeepah’. This clearly points out the exact aim of Bhagawad Geeta. Its main objective is clearly to completely remove the obstacles in the form of ‘Moha’, ‘Aasakti’ – which stand in the way of true Dharma.